Earlier in September, Mercedes-Benz brought in the updated C-Class. At the time, the luxury sedan was only introduced with a diesel motor. Now, the German carmaker has introduced a petrol engine option too. The C-Class petrol will only be available in the C200 Progressive trim, which is priced at Rs 43.46 lakh (ex-showroom). This makes it about Rs 80,000 cheaper than the C220d Progressive trim. The C-Class Petrol has an all-new 1.5-litre turbocharged heart that develops 181.4bhp and 280Nm. This engine works in union with a 48V belt-driven starter generator (BSG) that makes another 13bhp and 160Nm. Fitted between the engine and the 9-speed automatic transmission, this system essentially helps eliminate turbo lag. However, since the motor itself pumps out lesser power and torque than the diesel trim, the C-Class petrol is slower to touch the 100km/h mark – 7.7 seconds in comparison to 6.9seconds for the 220d. 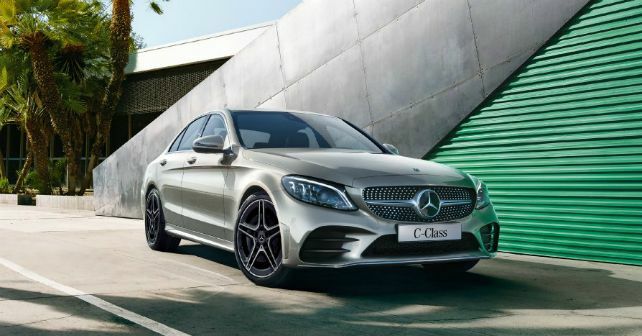 In comparison to the competition, the C-Class petrol flaunts better output figures than the Audi A4, but it isn’t as powerful as the BMW 330i or even the Jaguar XE. As far as features go, the C200 gets the same list of equipment as the C220d Progressive. The feature list includes a panoramic sunroof, ambient lighting, LED headlamps, Active Park Assist, 10.25-inch infotainment system and more. With the C-Class launched in both petrol and diesel trims, Mercedes-Benz will now shift its focus on the launch of the V-Class. The Stuttgart-based firm is about to re-enter the luxury MPV space on 24th January.